Posted October 10th, 2017 by alexitillo & filed under limo services, night out, wine tour. Picking the top things to do in Southern California is difficult since it is truly a travelers delight. There are very few places that offer such a wide array of possibilities for adventure as well as ultimate relaxation. Our unique landscape offers everything from remote desert hot springs to the metropolis of Los Angeles. We offer pristine surf beaches, snowy ski lodges, vineyards, and family fun galore. Important Things To Consider When Visiting Southern California. • Southern California has much more to offer then just San Diego and Los Angeles. If you are trying to see the Hollywood sign in L.A. and also take the kids to Seaworld in S.D. you may want to consider staying in one of the many delightful cities that are in between. • Del Mar makes an excellent midpoint while offering up the Del Mar racetracks and the beach. 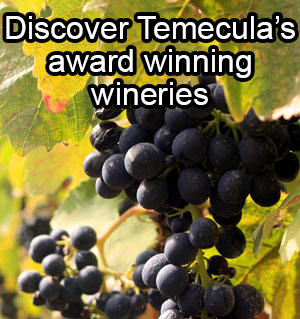 Temecula is stunning and centrally located while offering fun filled vineyard tours and hot air balloons. • You will definitely want to book in advance. From hotels to transportation all things, especially the best things, can book up fast. You can search for vacation packages online or look into the option of private limos or car services which partner up with local attractions to offer special services and prices. • While San Diego is known for its spectacular weather we do have our very small cold and rainy season. This can be a great time to visit both pricewise and because the beaches and family attractions are relatively empty even on the sunny days. In the winter season it is often quite hot in the day and cold at night. Be sure to check the weather and pack accordingly. • Los Angeles is famous for its traffic. When visiting Southern California it is important to think about transportation. While we do have the Coaster and public transportation options it is often very time-consuming to get between places. If you are thinking about drinking please be sure to get some kind of car service. Drinking and driving is taken seriously and check points are common. • Please don’t be a firebug. When I came West from NYC it was common to toss your cigarettes on the ground but such a simple act of environmental negligence here can light half the state on fire. No one wants to be the cause of that. Take extreme care with campfires, fireworks, and any other potential fire starters including those floating Chinese lanterns. Top Family Activities In Southern California. There are almost too many family activities here to even list but here’s a short rundown. • Disneyland is of course the obvious place to start this list. Nothing says fun to children like the prospect of going to Disneyland. Consider purchasing a park hopper ticket to take advantage of both Disneyland Park and Disneyland California Adventure Park. I absolutely recommend getting some kind of transportation service to take you to the park. This is as much for the kids as for you parents. Parking can be a hassle as can traffic and you don’t want their memory of going to Disneyland to begin and end with you cursing as somebody cuts you off. Besides, listening to them talking excitedly about all the things they want to see and do before you get there is often the best part for mom and dad. • Although it has been engulfed in a lot of controversy lately, Seaworld is still one of the largest and most popular attractions for families.The mix of fun rides with amazing animal attractions makes this a memorable experience for all. I found this park much easier to navigate when my child was little. They had a good amount of activities that catered to the toddler age group. If you are here in the summer you can also check out Seaworld’s Aquatica. This place has a great combination of animal attractions as well as water activities and slides for all levels of excitement and all ages groups. Plus adults can get drinks and there is nothing like a cold beer on a hot day. • There are many other amazing possibilities for family fun in Southern California. Knotts Berry farm is particularly popular around Halloween. Universal Studios offers fun for the whole family as does the Midway which is an aircraft carrier turned museum that is full of old planes you can climb. Legoland caters to children between ages 5 to 11. If you are looking for something a little more educational and you have a little dinosaur lover on your hands you can take them to the La Brea Tar Pits. The Birch Aquarium in La Jolla is an amazing aquarium offering up a more conservation oriented experience. • Go check out Mission Bay. Our ocean beaches are amazing but the bay offers so many possibilities for fun. You can rent paddleboards and paddle between the various hotels where you can stop to have a snack or drink. You can rent everything from sailboats to jet skis or check out the very unique attraction of water jetpacks. Yes they are exactly what they sound like and they are awesome. Now children 5 to 13 can also have the fun of zipping and flipping through the air on a tandem jetpack flight. • Hot air balloons are fun for all ages and watching a Southern California sunset from the sky can’t be beat. • Finally the San Diego Zoo is world-famous and located in Balboa Park which is full of museums, hikes, and spectacular gardens. Don’t confuse the San Diego Zoo and the San Diego Zoo Safari Park which is more of a cage free park and is located in Escondido. Things To Do In Southern California For Romance. • If you are looking for a romantic getaway look no further than Temecula wine country. 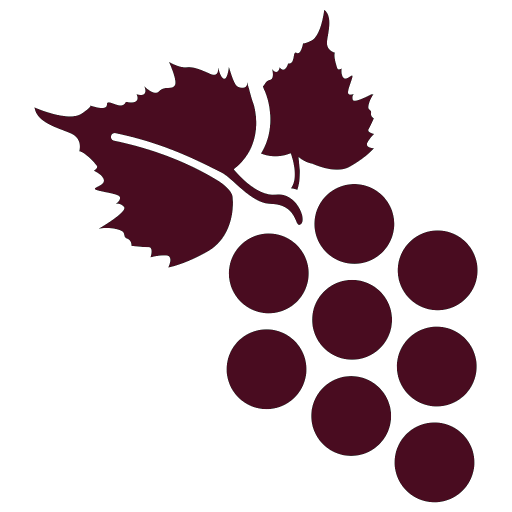 What could be better than a limo ride with your sweetie through the Vineyards while imbibing superb vintages? A limo driver here will be knowledgeable about the wines and the vineyards so they are excellent guides and this eliminates the risk for drinking and driving. • A romantic idea that will surely impress is watching the sun rise or set over the Pacific Ocean from a hot air balloon. • Take your lover for a trip in a gondola. Yes you read that right. Both Venice Beach and Coronado offer actual gondola rides. Talk about classic romance! • Treat your significant other to a day of luxury shopping and celebrity sightseeing on famous Rodeo Drive. Finish it off with some fine dining. • Speaking of luxury Southern California has many of the best spas in the world. Find one near you and spend the day getting a couples massage and being pampered together. Although it is in Central California, not Southern California, I cannot speak of spas without mentioning the truly unique experience offered by Esalen in Big Sur. If you have the time to get there Esalen allows the public to bathe in the healing waters of this holistic retreat center by reservation only from 1-3 AM. What makes this unique is that you soak in tubs that are located outside on the cliffs over the ocean. Offering both silent and soft talking sections you can soak naked or clothed outside and hear the waves crashing below you. Try and arrange to be there during a full moon. The picture perfect location of Big Sur will take your breath away in the day as well so it’s worth spending the day before heading to the spa. Be sure to call Esalen and make a reservation to be sure they’re open. The same goes for Desert Hot Springs. • Go check out the stars and incredible views of the Hollywood sign, L.A., and the ocean at the Griffith Observatory. • In Southern California you can rent almost any kind of watercraft that you would like. If you are not experienced with boats or watercraft you can take a cocktail cruise on one of the many ships in the harbor. Go dine on the Star of India or get a room in the iconic Queen Mary. In Mission Bay you can even rent a floating hot tub! Whichever way you choose, taking your loved one to enjoy a day on the water will relax and revive you both. Things To Do In Southern California For The Adventurous. • Whether you are already an enthusiast or a novice, if you have ever considered skydiving I can tell you from experience that Southern California is a particularly beautiful location to try it out. We also have many indoor skydiving locations if you are fearful of the real thing. • Go sportfishing. While there are many lovely locations for normal fishing we offer a lot of deep-sea and sportfishing options as well. If you’re up for a challenge you can also try big-game surf fishing. If you have never tried catching a shark or other large critter from the beach I recommend finding an experienced fisherman to teach you. You will need two people to reel in and beach something that large in the surf and you do not want to get your hand bitten off. • Jetpacks on Mission Beach- need I say more? • We offer so many opportunities for rock climbing and hiking that I would need a separate article to list them all. I will make special mention of the deserts though since this is a type of terrain that many people don’t ever get to see. • Go to Mexico. Assuming you will not have any kind of passport issues (Americans need a passport or passport card) I highly recommend going to Mexico even if it’s just to eat a street taco. Despite its reputation, being able to cross quickly into Tijuana is one of the greatest perks of living in San Diego. You could for example cross into Tijuana, eat at any of the fine restaurants, get a nice hotel room, and spend your evening dancing and drinking for unbeatably low prices. Or if you are doing the bachelor thing, there are numerous high end strip clubs without high end prices. You could cross the border, hop in a taxi, (you can not take rental cars across the border) and dance, dine and drink at the mega clubs on the beaches. Playas de Tijuana is great for this and most of these places also offer you the chance to ride horses on the beach. Go about 20 minutes south to Rosarito to ride a dune buggy or dirt bikes in the sand dunes. From there it is a quick little ride over to Puerto Nuevo to eat their famous lobsters. Mexico can be dangerous, particularly if you choose to look for drugs outside the clubs, or get wasted and wander down alleys. While there is a very real risk of classic city problems like muggers and scammers the police there offer up their own dangers, use common sense and stick to the tourist areas. Take basic precautions such as not going there with all your money and credit cards in your wallet. Put enough money and keep some stuff in there – like a credit card but not your bank card – so that if somebody did mug you they would not feel the urge to try to find out what else you have hidden. My final note about traveling to Mexico is that it is not someplace you want to go for a “day trip” if you have to get back for a flight. While it is usually faster to cross the border walking then by car the border wait times are unpredictable. We hope you enjoy your visit to Southern California and it’s endless opportunities for fun. Be sure to take a little sunshine home with you in the form of a smile.